Lacus Veris (Latin for "Lake of Spring") is a small lunar mare on the Moon. In selenographic coordinates, the mare centered at 16.5° S, 86.1° W and is approximately 396 km long. The mare extends along an irregular 90° arc from east to north that is centered on the Mare Orientale, covering an area of about 12,000 km2. Author Eric Burgess proposed this mare as the location of a future manned lunar base, citing a 1989 study performed at the NASA Johnson Space Center. 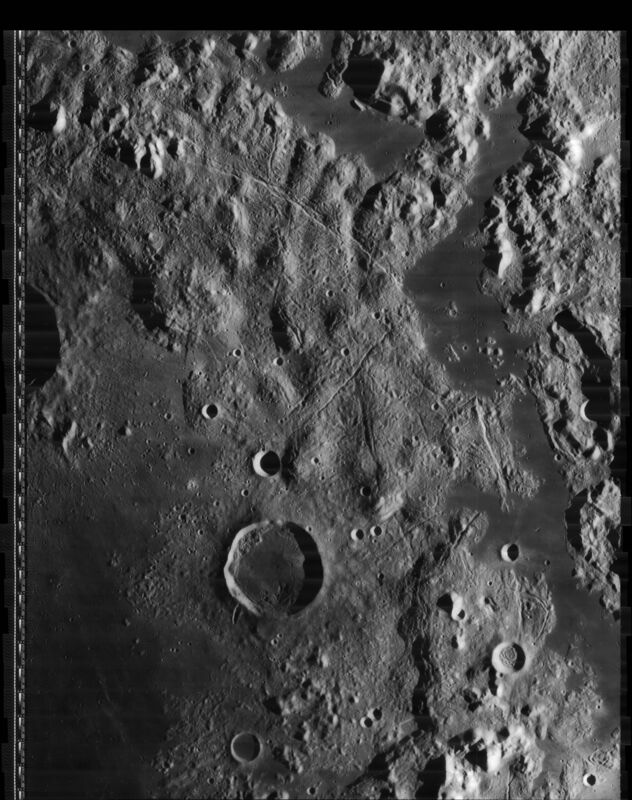 This small, roughly crescent-shaped mare region lies between the ring-shaped Inner and Outer Rook mountains that form part of the Orientale impact basin. It lies in a topographic lowland about 1 km below the surrounding peaks. Based on data collected during the Lunar Orbiter missions and from Earth-based telescopes, the mare includes some material from the surrounding highlands. 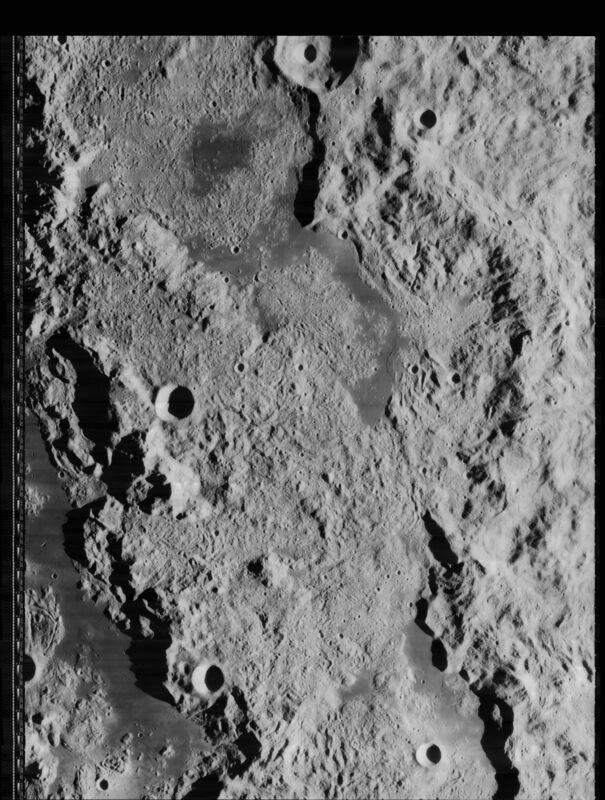 The density of crater impacts indicates that this mare is an estimated 3.5 billion years old, and it finished forming roughly 340 million years after the impact that created the Oriental basin. The mare contains eleven sinuous rilles formed from lava tubes and channels, with lengths ranging from 4 to 51 km. Many of these rilles begin in the Rook mountains and flow to the base of the mountainous scarp. There are also several shield volcano formations, each with a diameter of less than 10 km. The geological formations and the lack of collapse depressions suggest that the mare was formed by thin lava flow through tubes, rather than through basalt flooding by fissure eruptions. ^ Blue, Jennifer (July 25, 2007). "Lacus Veris, Gazetteer of Planetary Nomenclature". USGS. Retrieved 2014-11-22. ^ Brennan, W. J. (March 15–19, 1976). "Multiple ring structures and the problem of correlation between lunar basins". In: Lunar Science Conference. Houston, Texas: Pergamon Press, Inc. 7: 2833–2843. Bibcode:1976LPSC....7.2833B. ^ Grego, Peter (2005). The moon and how to observe it. Birkhäuser. p. 189. ISBN 1-85233-748-6. ^ Burgess, Eric (1993). Outpost on Apollo's moon. Columbia University Press. p. 199. ISBN 0-231-07666-5. ^ NASA-Johnson Space Center, 1989. Report of the 90-Day Study on Human Exploration of the Moon and Mars, Houston: NASA. ^ Oberst, J.; et al. (October 1996). "Photogrammetric analysis of clementine multi-look angle images obtained near mare orientale". Planetary and Space Science. 44 (10): 1123–1133. Bibcode:1996P&SS...44.1123O. doi:10.1016/S0032-0633(96)00060-8. ^ Belton, Michael J. S.; et al. (31 January 1992). "Lunar Impact Basins and Crustal Heterogeneity: New Western Limb and Far Side Data from Galileo". Science. 255 (5044): 570–576. Bibcode:1992Sci...255..570B. doi:10.1126/science.255.5044.570. PMID 17792379. ^ Greeley, Ronald; et al. (1993). "Galileo Imaging Observations of Lunar Maria and Related Deposits". Journal of Geophysical Research. 98 (E9): 17183–17206. Bibcode:1993JGR....9817183G. doi:10.1029/93JE01000. ^ Greeley, R. (March 15–19, 1976). "Modes of emplacement of basalt terrains and an analysis of mare volcanism in the Orientale Basin". Proceedings, 7th Lunar Science Conference. Houston, Texas: Pergamon Press, Inc (published April 1976). pp. 2747–2759. Bibcode:1976LPSC....7.2747G. ^ Greeley, R. (March 1976). "Mare Emplacement in the Orientale Basin". Proceedings, Lunar and Planetary Science Conference. 7. pp. 334–335. Bibcode:1976LPI.....7..334G.